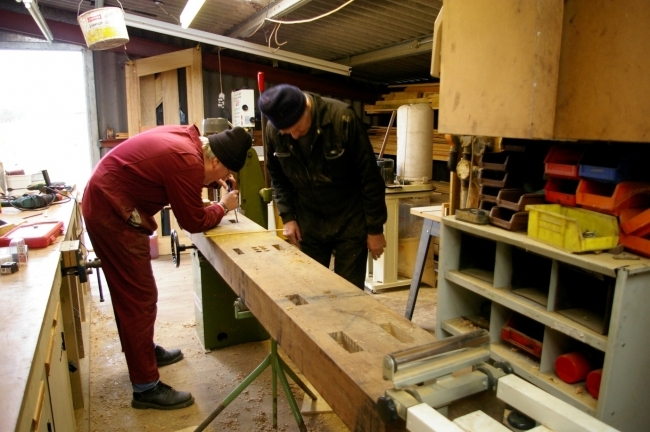 To help support the Trust's conservation and restoration activities, why not join us? Membership can be obtained by clicking here or by using the drop down "Sales" menu. It costs from just £14 per year and comes with many benefits, see below. Andy Young, our Membership Secretary, looks forward to welcoming you with a copy of our latest magazine. - Our magazine, Pines Express, four times a year. A wide variety of articles is complemented by photographs from the Trust's extensive archive. - Access to pdf copies of every Bulletin/Pines Express ever published. That's 292 issues! - The Trust's special train; running along the West Somerset Railway each summer with extra low fares and hauled by the Trust's restored S&D 7F, 53808. 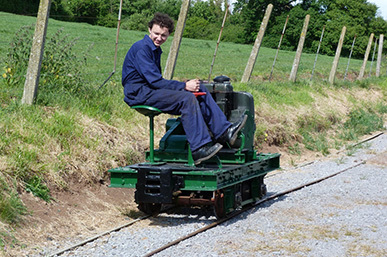 - 25% off standard travel (excluding special events) on the West Somerset Railway. 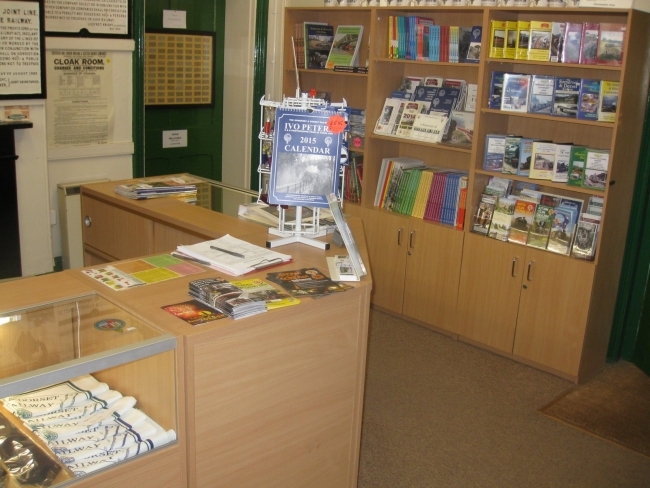 - Free museum access and 10% off most purchases in the Trust's shop at Washford. BR's 1960 deliberation on S&D through traffic: telling the story of how the S&D went from investment to plans for complete closure in under four years and how it was intended to accommodate the through traffic on other routes. 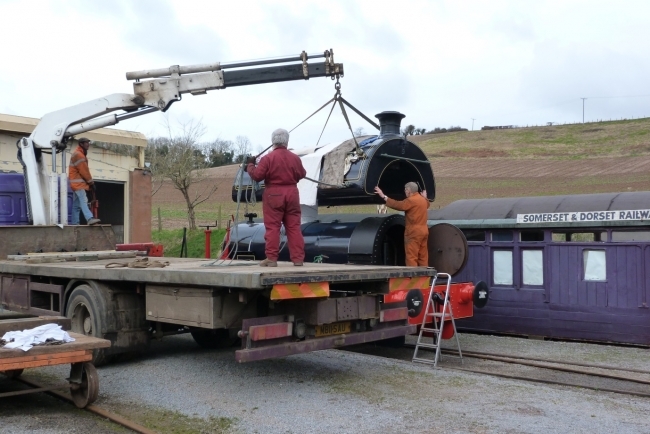 Modelling an S&D 7F in 7¼” gauge: we're now at part 4 and Vic has completed items that would be impossible to reach with the boiler in place and... has run the engine on compressed air. Music to his ears! Researching S&D photographers: Dave Bown finds that there is quite a story behind photos of the Bridgwater branch by Owen Prosser and speculates as to his purpose in travelling on the branch that day. S&D stations part 16 - Bath Green Park: after the smallest station on the line, David Grimwood now describes the largest in the latest installment in his series. Percy Parsons: after a set of points was altered at Highbridge, Burnham excursion passengers found themselves in a vehicle with no seating. How would the Station Master be appeased? S&D photos by Gwen Chapman. When young enthusiast Tim Chapman was being taken around the S&D by his aunt, she also took photos; we have a selection of her work. Itinerary from the SLS Special on 6 March 1966: the first two pages from this fascinating document. Centre-spread photo: an October morning at Midsomer Norton South in 1965. No less than eight pages of news... and much more! Volunteers are essential for the Trust to operate! There are all sorts of opportunities for taking part in preserving the memories and rolling stock of the Somerset & Dorset Railway. We cherish our volunteers and have established proper management procedures to encourage and support you. 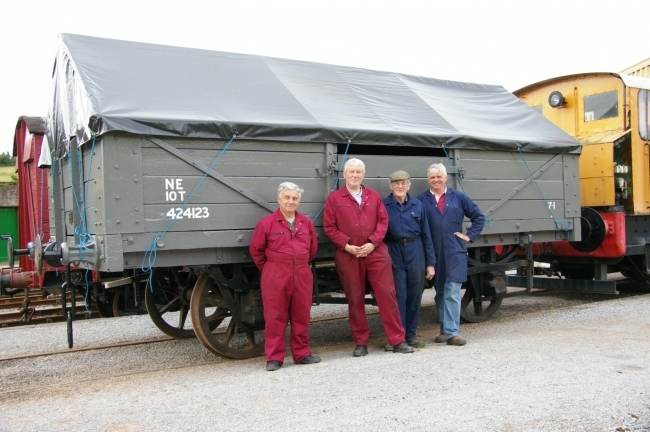 We have a small team working on wagon and carriage restoration and even engine overhaul, in our well-equipped workshops – all sorts of tasks to be done, for all levels of skills and all with proper supervision. 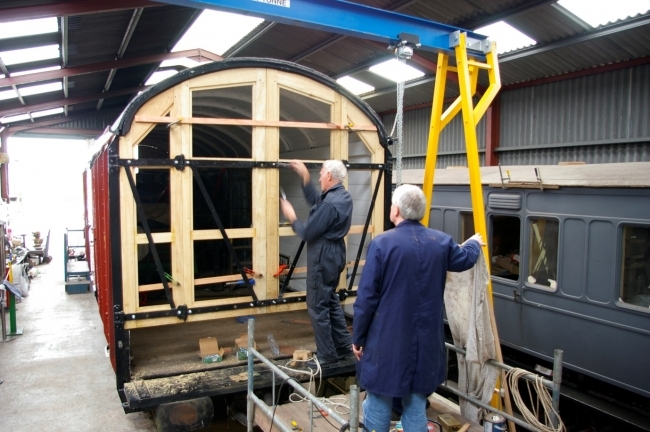 Current projects include restoration of three original S&D Coaches dating from the 1880’s along with a range of historic wagons. Is this something that interests you? 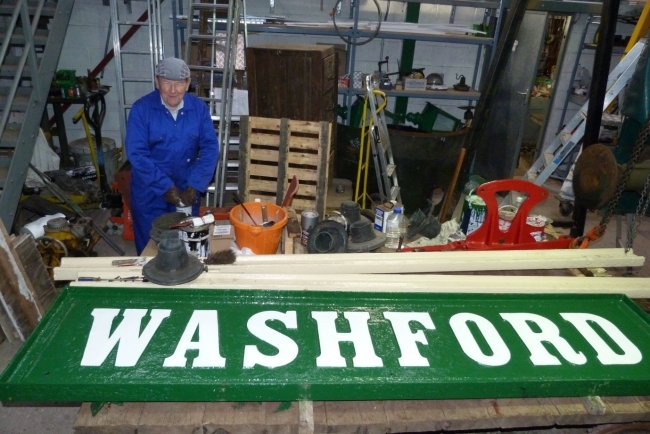 If you are unable to visit Washford regularly, there are plenty of tasks that can be undertaken from your own home – contributing to the Trust’s magazine Pines Express, researching the history of the line, adding information about stations and other features of the line for the website. Is this something you could spare some time for?